From the lively nightlife to the numerous active outdoor activities, Denver is such an exciting city in various aspects. Thus, plenty of people are being attracted to buying Denver luxury homes or finding apartments by checking this website. However, the exciting Denver life does not mean that there is no place for serenity. A regular yoga practice can help cure the mind and soul from the busy city life, and Denver surely has plenty of places that conduct free yoga classes for its residents. Need to relax your inner self without the stress of having to pay for expensive studio fees? Check out these places that offer free yoga classes near Denver luxury homes. The 100% donation-based yoga class in Denver, Yoga in the Park, is perfect for outdoor enthusiasts. This is for those who want to enjoy the tranquility of Denver’s nature while avoiding studio fees. 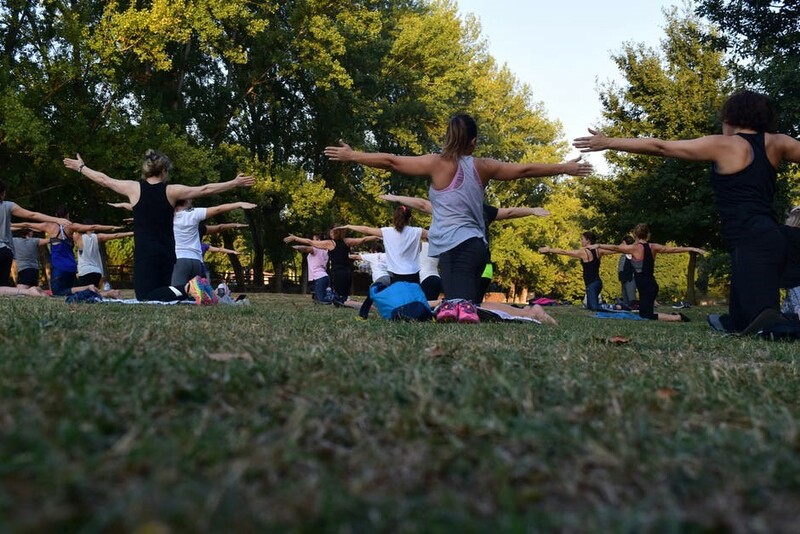 Yoga in the Park holds their classes in Denver’s city parks multiple times within a season. You can expect a mix of meditation, pranayama or breath work, active standing sequences, and gentle restorative poses. All you need to bring in classes are yoga mat, towel, water, and your positive mindset. You can laugh your heart out as much as you want and reap health benefits at the same time along with other people at Laughter Yoga. Each session consists of easy laughter exercises combined with yogic breathing and relaxation techniques. Meetings with Laughter Yoga happen every Thursdays excluding holiday from 4:30 PM – 5:30 PM at Washington Street Community Center in Washington St., Denver. It is free and open to all! Sponsored by Olmstead Properties, Mindful Mondays provides free yoga classes for an hour every Monday evening at the Circus Collective. Their classes are suitable for all levels of yoga students. Their classes vary from week to week and are taught by various teachers. They also occasionally serve local food and drink after yoga classes. Remove useless and stagnant energy from your aura and body with 15 minute-sessions at Yoga of the Mind. They give each participant an opportunity to write down a private request. This allows them to tailor the session according to the person’s healing requests. Yoga of the Mind usually hold their clearing sessions at 8 E. First Avenue, Suites 103, Denver every Tuesday at 5:30 PM – 6:45 PM and every second Sunday at 12:00 NN – 1:00 PM for free. Note: They do accept donations. There are also sessions of free yoga in Denver that are held regularly but not as frequent as other classes. For those who seek a clear mind once a year, you can find peace at the Sunken Gardens park mostly every Sundays. This is during the spring season with group yoga sessions brought by Yoga Rocks the Park and community sponsors. It is open for all yoga levels as well as for kids that are interested to come along with their parents. They also feature some local vendors from whom you can buy delicious treats after yoga classes. In reality, there are more than 60 free yoga classes being held in Denver every week. However, not all of them are run by clubs and communities regularly. The ones listed above are just some of the well-known, or rather unique, free yoga classes or sessions regularly held near Denver luxury homes. There are yoga studios in Denver that offer a free week of classes as well so that you can try and get a feel of their classes first before actually committing to attending classes their regularly. Whatever it is that you need, whether it is a quick drive on the rugged trails for ATVs and dirt bikes in Colorado or just a quiet day for the mind, Denver surely has it for you.